Not only is the skin on your face effected by the change of climate, but the skin on your body can change too. Your skin might start to feel dry, scaly and flaky especially after bathing or showering. 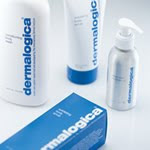 We can recommend several products to use in our Dermalogica Body Therapy range. To begin when you are washing your skin in the bath or shower the Dermalogica Conditioning Body Wash is not only invigorating in the way it smells, but it is also very therapeutic for your skin because it is soap free and contains an alternative ingredient which is very effective at cleansing your skin. It also contains many essential oils to purify and soothe your skin that will also moisturise and hydrate your skin. Conditioning Body Wash is also great to use with the Dermalogica Ultimate Buffing Cloth. It is a long, slim cloth which will gently exfoliate your skin while your washing. All you need to do is wet the cloth and then apply just one pump of the body wash, work up a foam and massage the cloth over your entire body. The shape of the cloth is brilliant to wash your back with, which usually gets missed. You will also use much less product when using with the cloth so your product will last twice as long. It is also great for your skin to follow our 3 minute rule. When you have bathed or showered pat your skin dry and while your skin is still damp, quickly apply your body cream or lotion. When your skin is still damp it will absorb the moisturiser more efficiently and will also lock in the moisture. If your skin isn’t sensitive and isn’t particularly dry the Dermalogica Body Hydrating Cream will be the best one for you. This product contains a special hydroxy and lactic acid complex to gently exfoliate, which will smooth and tone your skin. It is non greasy and absorbs extremely quickly into the skin and very effectively nourishes your too. If your skin is very dry or sensitive the Dermalogica Ultra Rich Body Cream is the most suitable for you. It has a lovely rich and creamy texture which is very soothing when applied to the skin. It has a unique long lasting formula so your skin will feel soft and smooth all day. It also contains healing ingredients that are great to alleviate any sensitive or irritated areas. Always try and patch test any new product before using all over your body. Samples are available for all of our products which is enough to patch test with. To use these products on a daily basis will dramatically improve the texture and tone of your skin or will also prevent your skin from becoming dry and uncomfortable. Try and remeber that prevention is always better than cure.